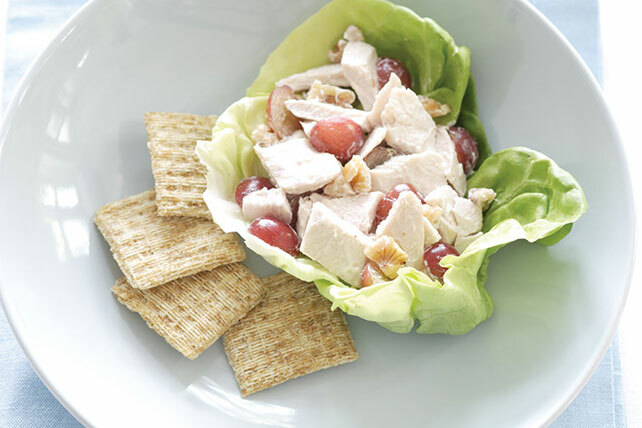 Get classic Waldorf flavor with less calories and fat. Substitute PLANTERS Deluxe Mixed Nuts or Dry Roasted Peanuts for the walnuts. Substitute OSCAR MAYER CARVING BOARD Flame Grilled Chicken Breast Strips, chopped, for the chopped cooked turkey.